Montrose Implement and Motor Sports can service all the brands and equipment that we sell . 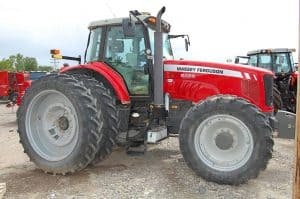 Montrose Implement is your Western Slope source for farm tractors, compact tractors, Ski-Doos, CanAm ATVs and Side-by-Sides, and many additional implements. We offer parts and service for everything we sell. Our dealership is proud to offer many services to keep your recreational vehicles or farm equipment in top running condition. Our trained and skilled service technicians know and understand your needs, and we work personally with each customer to determine exactly what services you require. Our state-of-the art facility uses the most cutting edge diagnostic tools to service all makes of recreational vehicles and farm equipment, with special emphasis on Can Am, Ski-Doo and Massey Ferguson. Bring us your equipment for repairs, regular maintenance, or tune-ups. We'll be glad to look it over and tell you what's wrong with it. And if you have specific questions about what we provide, please give us a call at 970-240-1720, or contact us, for a quick answer. 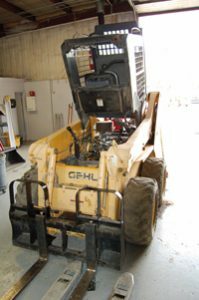 Call or stop in today to see how we can get you and your machine back on the trail, road, or your acreage just as soon as possible. Fill out the form below and let us know the type of service you need. We'll call you back to set up a specific time and date for your service.